How to Install "Make contest"
You can have “Make Contest” up and running on your server in just a matter of minutes, as long as your server has got what it takes. If you are not sure what to do, please read this quick guide on how to get started. “Make Contest” comes with a complete installation wizard that runs from your browser and guides you through every step of the installation process. It is extremely easy to use. “Make Contest” is a contest software (aka design contest script) that is used to create crowdsourcing contest sites just like 99designs.com and crowdspring.com where site visitors can outsource tasks (graphic design contest, logo design contest, icon design contest, article writing contest, text writing contest, etc.) to a “crowd” of people who will compete for the prize. Web sites created with “Make Contest” are often called “99designs clone” or “crowdspring clone” while the software itself is usually referred to as “99design script clone” or “crowdspring clone script“. If you would like to learn more about how anyone can run contests with “Make Contest” software please read What is “contest software” “Make Contest” all about? To see “Make Contest” in action please see our LIVE DEMO. You can test the script as a front-end user (designer, Contest Holder), or as admin (full access to back end). Before you begin the installation, there are a few things you need to have and to do. 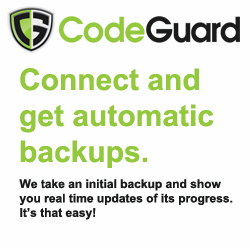 We recommend you backup your installation files and database regularly or even better, we suggest you use Code Guard and save $15.oo on your Make Contest purchase: details here. Download and unzip the “Make Contest” package, if you haven’t already. Create a new SQL database as well as a MySQL user who has all privileges for accessing and modifying it. Record the databaseʼs name, server name, database username and password for use in the next steps. Place the “Make Contest” files in the desired location on your web server (use the FTP client of your choice). Follow the on-screen instructions in the installation wizard. The first step will perform some basic checks of your environment to verify that it complies with “Make Contest” script requirements. Some requirements are mandatory, and the installation wizard will not proceed until they have been fulfilled, while other requirements are recommended, and you will receive a warning message but will be allowed to proceed if they are not met. Make sure all requirements are met and click “Next”. In this step you should provide the script with the information about your database: database host and name, database name and password, table prefix, and site’s email. Mouse-over tooltips are available to help you enter the right values. Fill in the required fields and click “Next”. If you do not know these values, please ask your hosting provider for more information. During this step, you can use “test connection” feature to perform a test connection to the database, to find out whether the values you entered were correct before proceeding with installation. If there is an error when connecting to the database, please correct the values you entered and try to connect to the database again. If the values you entered were correct, “Make Contest” will attempt to create new tables in the database you specified. If everything went well, you should be redirected to the next step, where you will see a message: “Database Successfully Installed”. At this point you need to enter information about your site: site name, server, URL, email, SEF URL rewriting settings. Mouse-over tooltips are available to help you enter the right values. A confirmation email has been sent to the supplied address. Check your spam folder if it fails to turn up. Please remove the “install” folder from your server. If you do not remove “install” folder manually the script will attempt to remove it during the following step. For security reasons you must remove “install” folder. You can do so manually (use the FTP client of your choice). Once the folder is removed you can either go to your site or login to the admin panel from this step. If “install” folder is not removed you will be redirected to the next step, “Cleanup” where the script will try to automatically remove “install” folder. If you have not removed “install” folder in the previous step, you can have the script to attempt removing it for you. Once the folder is removed you can either go to your site or login to the admin panel. That’s it! “Make Contest” should now be installed. If you experience any problems during installation, you might want to consider requesting free script installation from our technical support. All we need is your FTP and cPanel / MySQL information. Once we received all the info we need to install “Make Contest” on your server, your installation will be performed within a maximum of two business days. To install MakeContest locally please see this Knowledge Base article. Not ready to buy? Check online demo! "Make Contest" is packed with functionality to allow you easily create your own 99designs clone site. Please see full list of features. --Get $15.00 off your purchase. Click for more details. Our script requirements are supported by most web hosts. Please check with your hosting provider if you are not sure what these requirements are.